This show is available for all POST Wrestling Café patrons – go to Patreon.com/POSTwrestling to download OR check your podcast app if you have subscribed to the RSS feed provided to all members. 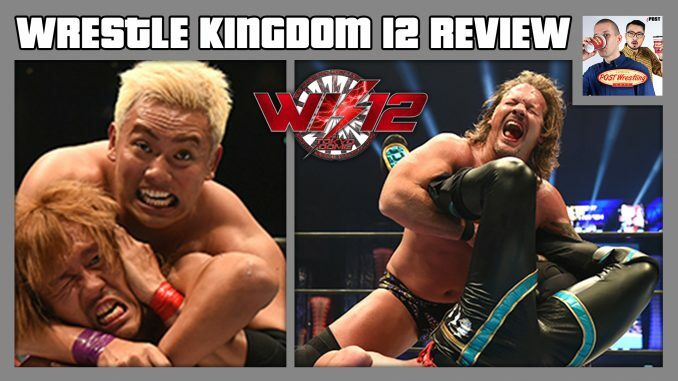 John Pollock and Wai Ting review NJPW Wrestle Kingdom 12 from the Tokyo Dome headlined by Kazuchika Okada vs Tetsuya Naito and Kenny Omega vs Chris Jericho. John and Wai run down all the matches on the show, what stood out and what disappointed, directions for the winners and losers heading into 2018 and more. Plus, Braden Herrington attended the show live in Tokyo and calls in with his thoughts. Your feedback from the POST Wrestling Forum and the announcement of a BONUS podcast in honour of reaching 1,000 patrons.